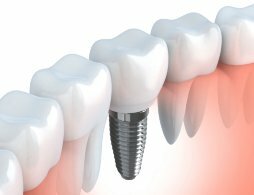 Implant Treatments- If you do not want dentures in your mouth, implant therapy can be a good choice. We work with proven implant system. Everything is done here at the clinic and we continue with regular checks to ensure successful treatment. Dental implants - "How are you doing?" We plan your therapy and you get a fixed price. Operation and insertion of your dental implants. Stitches are removed after 8-10 days. Ingestion period is usually 6-8 weeks. Reprinting and ordering your new teeth at our dental technician. The dental technician needs 9-14 days to make his teeth. 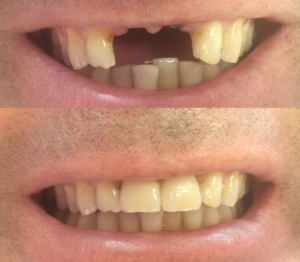 Here is a photo of one of our patients who got two implant teeth in the upper jaw.